Development of new control boards for the program selector. On May 9 - 11, 2018 grand international exhibition in the field of motor transport took place in Warsaw, Poland. This exhibition is one of the three largest exhibitions in Europe for car wash equipment. 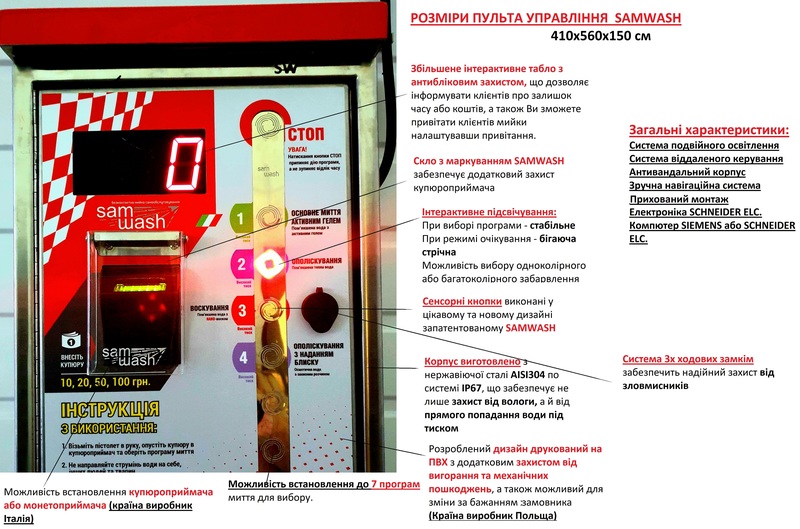 The only company representing manufacturers from Ukraine was SAMWASH. We are proud to say that the products of the company caused the Europeans to be curious and amazed, because the quality of their work was impressive and at a high level. It is a pity that none of the Ukrainian manufacturers of self-service car washes we have never met during all the days of staying in Poland, because the experience of neighboring countries is of fundamental importance for the development of self-service car washes.